GPO | Richard M. Hicks Consulting, Inc.
DirectAccess is a thing of beauty when everything is working as it should. When it isn’t, troubleshooting can be quite challenging. DirectAccess relies on many Windows platform technologies such as Active Directory for authentication, PKI for certificate management, group policy for settings deployment, IPsec for encryption, and IPv6 for transport. With so many dependencies, locating the source of the problem can be a difficult and daunting task. I’m frequently called upon to help organizations of all sizes with DirectAccess troubleshooting. While this post is not intended to be a detailed, prescriptive guide for DirectAccess troubleshooting, I did want to share some common troubleshooting tips based on many years of troubleshooting DirectAccess. Check Prerequisites – Before diving in and collecting network traces and scouring event logs for clues as to why DirectAccess isn’t working, it’s essential to start at the beginning. Often the source of trouble is missing or misconfigured prerequisites. For example, is the DirectAccess client running a supported operating system? Remember, clients must be running Windows 10 Enterprise or Education, Windows 8.x Enterprise, or Windows 7 Enterprise or Ultimate. Also, ensure that the Windows firewall is enabled on DirectAccess servers and clients, that certificates are installed and valid (trusted, correct EKU, etc. 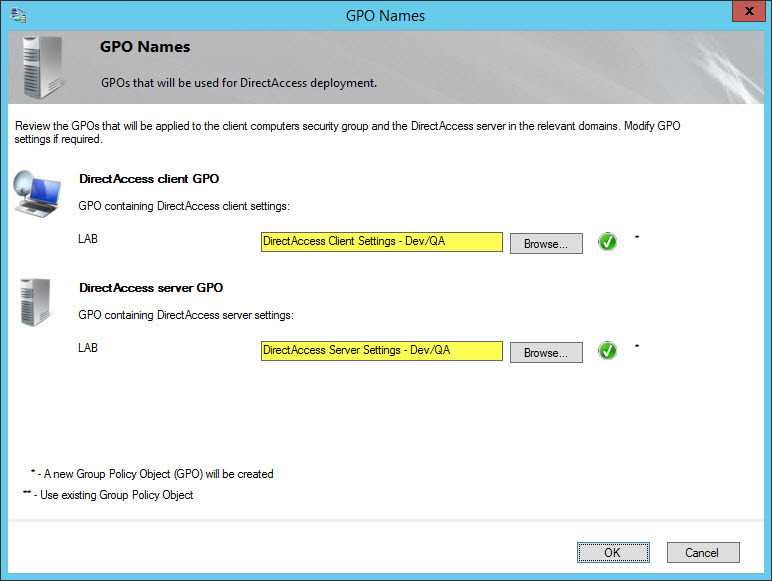 ), and that the DirectAccess settings GPO has been applied to servers and clients. Validate External Connectivity – If you are following implementation and security best practices for DirectAccess, the DirectAccess server will be in a perimeter/DMZ network behind an edge firewall. The firewall must be configured to allow inbound TCP port 443 only. If the firewall is also performing Network Address Translation (NAT), the NAT rule must be configured to forward traffic to the DirectAccess server’s dedicated or virtual IP address (VIP), or the VIP of the load balancer. Watch for routing issues when using load balancers too. It’s a good idea to confirm external connectivity using the Test-NetConnection PowerShell command. Even better, use the open source tool Nmap for more thorough testing. Remove Third Party Software – I can’t tell you how many times I’ve resolved DirectAccess connectivity issues by removing (not just disabling!) third party software on the client and/or server. It’s not uncommon for third-party security software to interfere with IPsec and/or IPv6 communication, both of which are vital to DirectAccess. If your DirectAccess troubleshooting efforts reveal no underlying issues with prerequisites or external connectivity, I’d suggest removing (at least temporarily) any third-party software and testing again. Isolate Environmental Issues – Occasionally other settings applied manually or via Active Directory group policy will interfere with DirectAccess. Examples include IPv6 being disabled in the registry, IPv6 transition technologies required to support DirectAccess are turned off, essential firewall rules for DirectAccess are disabled, or manipulating local security settings such as Access this computer from the network. To assist with troubleshooting it might be necessary to temporarily place DirectAccess clients and servers in their own dedicated Organizational Units (OUs) and block inheritance to isolate the configuration as much as possible. In addition, if DirectAccess clients are servers are provisioned using images or templates, testing with a clean build straight from the installation source (ISO or DVD) can be helpful. Check for Unsupported Configurations – If DirectAccess isn’t working, it might be possible the configuration you are trying to use is not supported. Examples including strong user authentication with OTP when force tunneling is enabled, provisioning Windows 7 clients when using Kerberos Proxy authentication, or provisioning Windows 10 clients when Network Access Protection (NAP) integration is enabled. These configurations won’t work and are formally documented here. This is by no means a comprehensive or exhaustive troubleshooting guide. 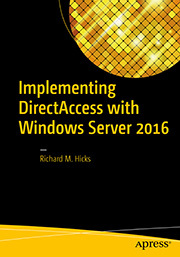 For more information and additional DirectAccess troubleshooting guidance I would encourage you to purchase my book Implementing DirectAccess with Windows Server 2016, which has an entire chapter devoted just to troubleshooting. In addition, watch my DirectAccess video training courses on Pluralsight for details and information about DirectAccess installation, configuration, management, support, and troubleshooting. And if you’re still struggling to resolve a DirectAccess problem, use the form at the bottom of this page to contact me to inquire about additional troubleshooting help. 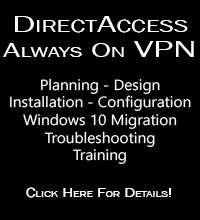 Need assistance with DirectAccess troubleshooting? Complete the form below and I’ll get in touch with you. iManage Work (formerly WorkSite) is a popular document management system commonly used in the legal, accounting, and financial services industries. Historically, there have been issues getting WorkSite to function over DirectAccess, because WorkSite used IPv4 addresses and DirectAccess clients use IPv6. When a DirectAccess client is outside of the office, it communicates with the DirectAccess server using IPv6 exclusively, so applications that make calls directly to IPv4 addresses won’t work. One way DirectAccess administrators could make WorkSite function was to use portproxy to create v4tov6 address and port mappings on the client. However, this method is error prone, difficult to troubleshoot and support, and doesn’t scale effectively. The good news is that beginning with release 9, the iManage Work client application has been upgraded to support IPv6. However, it is not enabled by default. To enable IPv6 support for iManage Work, add the following registry key on the client side (not the server!). No other changes are required. You can also use the following PowerShell command to add this registry entry. After validation testing is complete, deploy the registry setting via Active Directory group policy preferences to all DirectAccess clients and iManage Work will function perfectly over DirectAccess! DirectAccess in Windows Server 2012 R2 supports many different deployment configurations. It can be deployed with a single server, multiple servers in a single location, multiple servers in multiple locations, edge facing, in a perimeter or DMZ network, etc. There are a number of important DirectAccess settings that are global in scope and apply to all DirectAccess clients, such as certificate authentication, force tunneling, one-time password, and many more. For example, if you configure DirectAccess to use Kerberos Proxy instead of certificates for authentication, Windows 7 clients are not supported. In this scenario it is advantageous to have a second parallel DirectAccess deployment configured specifically for Windows 7 clients. This allows Windows 8 clients to take advantage of the performance gains afforded by Kerberos Proxy, while at the same time providing an avenue of support for Windows 7 clients. To the surprise of many, it is indeed possible to deploy DirectAccess more than once in an organization. I’ve been helping customers deploy DirectAccess for nearly five years now, and I’ve done this on more than a few occasions. In fact, there are some additional important uses cases that having more than one DirectAccess deployment can address. QA and Testing – Having a separate DirectAccess deployment to perform testing and quality assurance can be quite helpful. Here you can validate configuration changes and verify updates without potential negative impact on the production deployment. Delegated Administration – DirectAccess provides support for geographic redundancy, allowing administrators to create DirectAccess entry points in many different locations. DirectAccess in Windows Server 2012 R2 lacks support for delegated administration though, and in some cases it may make more sense to have multiple separate deployments as opposed to a single, multisite deployment. For example, many organizations are divided in to different business units internally and may operate autonomously. They may also have different configuration requirements, which can be better addressed using individual DirectAccess implementations. Migration – If you have currently deployed DirectAccess using Windows Server 2008 R2 with or without Forefront UAG 2010, migrating to Windows Server 2012 R2 can be challenging because a direct, in-place upgrade is not supported. You can, however, deploy DirectAccess using Windows Server 2012 R2 in parallel to your existing deployment and simply migrate users to the new solution by moving the DirectAccess client computer accounts to a new security group assigned to the new deployment. Major Configuration Changes – This strategy is also useful for scenarios where implementing changes to the DirectAccess configuration would be disruptive for remote users. For example, changing from a single site to a multisite configuration would typically require that all DirectAccess clients be on the LAN or connect remotely out-of-band to receive group policy settings changes after multisite is first configured. In addition, parallel deployments can significantly ease the pain of transitioning to a new root CA if required. 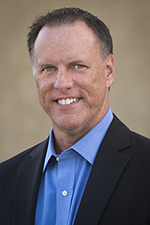 Unique Client Requirements – Having a separate deployment may be required to take advantage of the unique capabilities of each client operating system. For example, Windows 10 clients do not support Microsoft Network Access Protection (NAP) integration. NAP is a global setting in DirectAccess and applies to all clients. If you still require NAP integration and endpoint validation using NAP for Windows 7 and Windows 8.x, another DirectAccess deployment will be required to support Windows 10 clients. Unique IP Addresses – It probably goes without saying, but each DirectAccess deployment must have unique internal and external IPv4 addresses. Distinct Public Hostname – The public hostname used for each deployment must also be unique. Multi-SAN certificates have limited support for DirectAccess IP-HTTPS (public hostname must be the first entry in the list), so consider using a wildcard certificate or obtain certificates individually for each deployment. Group Policy Objects – You must use unique Active Directory Group Policy Objects (GPOs) to support multiple DirectAccess deployments in a single organization. 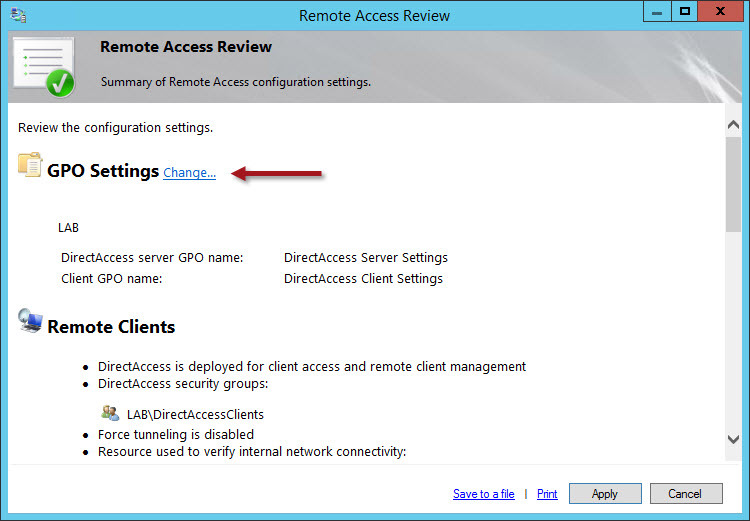 You have the option to specify a unique GPO when you configure DirectAccess for the first time by clicking the Change link next to GPO Settings on the Remote Access Review screen. Enter a distinct name for both the client and server GPOs. Click Ok and then click Apply to apply the DirectAccess settings for this deployment. Windows 7 DirectAccess Connectivity Assistant (DCA) GPOs – If the DirectAccess Connectivity Assistant (DCA) v2.0 has been deployed for Windows 7 clients, separate GPOs containing the DCA client settings for each individual deployment will have to be configured. Each DirectAccess deployment will have unique Dynamic Tunnel Endpoint (DTE) IPv6 addresses which are used by the DCA to confirm corporate network connectivity. The rest of the DCA settings can be the same, if desired. The rest of the supporting infrastructure (AD DS, PKI, NLS, etc.) can be shared between the individual DirectAccess deployments without issue. Once you’ve deployed multiple DirectAccess deployments, make sure that DirectAccess clients DO NOT belong to more than one DirectAccess client security group to prevent connectivity issues. Moving DirectAccess client computers from the old security group to the new one is all that’s required to migrate clients from one DirectAccess deployment to another. Client machines will need to be restarted to pick up the new security group membership, at which time they will also get the DirectAccess client settings for the new deployment. This works seamlessly when clients are on the internal network. It works well for clients that are outside the network too, for the most part. Because clients must be restarted to get the new settings, it can take some time before all clients finally moved over. To speed up this process it is recommended that DirectAccess client settings GPOs be targeted at a specific OUs created for the migration process. A staging OU is created for clients in the old deployment and a production OU is created for clients to be assigned to the new deployment. DirectAccess client settings GPOs are then targeted at those OUs accordingly. Migrating then only requires moving a DirectAccess client from the old OU to the new one. Since OU assignment does not require a reboot, clients can be migrated much more quickly using this method. DirectAccess with Windows Server 2012 R2 supports many different deployment models. For a given DirectAccess deployment model, some settings are global in scope and may not provide the flexibility required by some organizations. To address these challenges, consider a parallel deployment of DirectAccess. This will enable you to take advantage of the unique capabilities of each client operating system, or allow you to meet the often disparate configuration requirements that a single deployment cannot support. For DirectAccess deployments where domain controllers are running Windows Server 2003 or Windows Server 2003 R2 using the File Replication Service (FRS) for replication, DirectAccess client and server settings Group Policy Objects (GPOs) may be deleted. If these GPOs are deleted, DirectAccess connectivity will be disrupted. If the GPOs cannot be recovered via backup, it will be necessary to rebuild the entire DirectAccess deployment from scratch. Microsoft recently updated their DirectAccess Unsupported Configurations documentation to reflect new guidance for DirectAccess deployments where the FRS is used for the distribution of Active Directory GPOs. DirectAccess is no longer supported in environments where FRS is used for SYSVOL replication. What this means is that if you plan to deploy DirectAccess, domain controllers must be running Windows Server 2008 or later, and Distributed File System Replication (DFS-R) must be used for replication. Since Microsoft released security advisory KB2862152, there has been much confusion surrounding where the associated update should be installed, in what deployment scenarios it needs to be installed, and what the best way to configure it is. Recently my colleague and good friend Jason Jones and I worked together to research and answer these questions. Microsoft security advisory KB2862152 addresses a vulnerability in IPsec that could allow an attacker to perform a man-in-the-middle attack by spoofing a DirectAccess server to intercept network traffic and potentially capture encrypted domain credentials. The associated update is designed to allow security administrators to configure DirectAccess clients to perform more rigorous validation checks when establishing the DirectAccess IPsec tunnels. It’s important to understand that without additional client-side configuration, this security update does nothing. For DirectAccess deployments that use Kerberos authentication (Kerberos Proxy), the update needs to be installed on all Windows 8.x clients. No updates are required for Windows 7 clients as they are not supported using this deployment model. 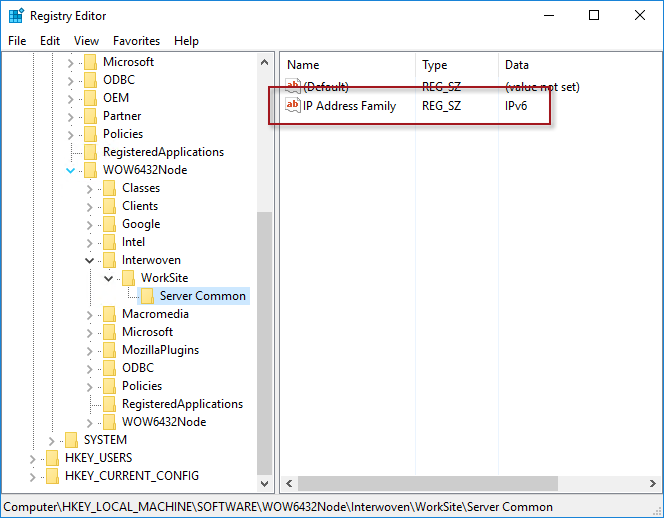 To enforce additional validation checks, configure the registry on the Windows 8.x DirectAccess clients with the IP addresses and Service Principal Name (SPN) of the DirectAccess server as outlined here. For DirectAccess deployments that use certificate-based authentication, the update needs to be installed on all Windows 7 clients. No updates are required for Windows 8.x client using this deployment model. To enforce additional validation checks, configure the registry on the Windows 7 DirectAccess clients with the IP addresses and either the fully-qualified domain name (FQDN) of the DirectAccess server (not recommended) or the Object Identifier (OID) of the computer certificated used for IPsec authentication (recommended, with custom OID). The choice between using FQDN or OID is a challenging one, however. Choosing to validate the DNS name is simple and straightforward, but this information may be known to an attacker, or perhaps discoverable, allowing them to spoof it. In addition, there is a limit of 10 DNS names supported using this method, which can be potentially limiting, especially in large, multi-site deployments. Using the certificate OID is even more problematic, because by default it uses a well-known Server Authentication EKU OID (1.3.6.1.5.5.7.3.1) common to many Microsoft Active Directory Certificate Services (AD CS) certificate templates which, of course, could be spoofed by an attacker even easier. The most effective implementation of this security update for DirectAccess deployments that use certificate-based authentication is to use the OID option with a certificate configured with a custom OID. Custom OIDs are unique to your organization and will help prevent spoofing by using a unique value that is much harder to guess or determine. The remainder of this article will outline how to configure and deploy a certificate with a custom OID along with implementation details for configuring the appropriate client-side registry settings via group policy to enforce the additional validation checks. To implement this, it will require creating and deploying a new certificate template. In the Certificate Services management console, right-click Certificate Templates and choose Manage. Right-click the Computer certificate template and choose Duplicate Template. Select the General tab and give the template a descriptive name. Select the Extensions tab, highlight Application Policies and click Edit. Click Add and then New, and then provide a descriptive name. Leave the OID as is and click Ok to continue. 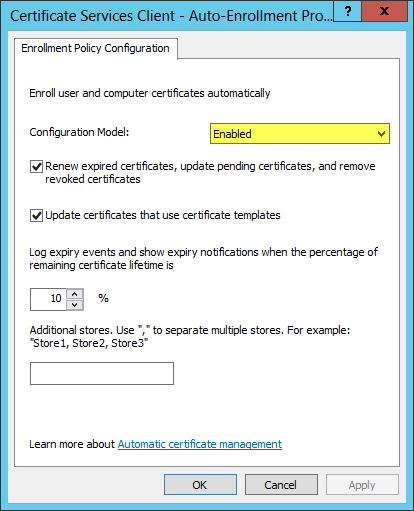 Right-click once again on Certificate Templates and choose New and then Certificate Template to Issue. Select the certificate template you just created and click Ok.
Once complete you can request a new certificate for each of your DirectAccess servers using this new template. After you have successfully installed the computer certificate using this new template, be sure to delete the old computer certificate on each DirectAccess server. No further changes are required on the DirectAccess server. Note: If you are assigning a computer certificate to the DirectAccess server via group policy auto enrollment, the certificate will be reinstalled again after it is deleted, once group policy refreshes. To avoid this situation you will need to deny access to this GPO to ensure that only a single computer certificate with the custom OID is installed on the DirectAccess server. To instruct the client to validate the tunnel endpoint IPv6 address and the OID of the DirectAccess server certificate before initiating IPsec tunnels we’ll need to configure registry settings on our DirectAccess clients. Jason Jones’ article describes which settings need to be made and when, so I won’t duplicate his efforts here. However, it is recommended that you deploy these settings using group policy, which I will cover. for the Key Path and enter DTE1 for the value. Select REG_MULTI_SZ for the Value Type and in the Value Data enter the IPv6 address of the first DTE. On the next line enter EKU:<OID> and click Ok.
Repeat this procedure for each tunnel endpoint. Finally, highlight the GPO and change the Security Filtering from Authenticated Users to the security group for your DirectAccess clients and link the GPO to the domain. Exercise extreme caution when creating and implementing these GPOs to enforce additional validation checks. If there’s a typo somewhere or you forget a DTE, you could potentially orphan your DirectAccess clients. I recommend testing your changes by manually adding the registry entries required and then copying/pasting those settings to the GPO in Active Directory when you’re ready to deploy globally. Also, don’t forget that you’ll need to update GPOs each time you add a cluster node or multisite entry point.